Beautiful 5 bedroomed stone house with barn and outbuildings, excellent condition. This lovely house is situated in a hamlet only 4 kms from a market town which has all . . .
Building consisting of 3 renovated apartments in the small town of Genis. Situated in the small town of Genis with a pharmacy, butchers, grocers, bakers, school, and . . . The house was originally a family home with a shop business. There are separate entrances . . .
Charming house from the 18th century, renovated with barn and 1600m² of garden. Situated in a small hamlet in the countryside, with amenities nearby (post office, bakers, . . .
Delightful 4 bed village house with swimming pool and new roof. This property couldn't be . . . In the heart of a pretty, calm village, close to the local amenities, you will find this . 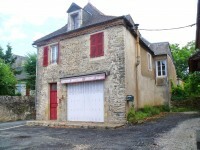 . .
Charming character house with outbuildings and 5500m² or partly wooded land fully renovated in a calm enviroment. 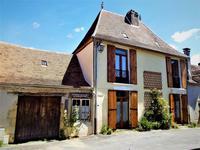 This fomer farmhouse has been fully renovated throughout leaving all the wooden beams and . 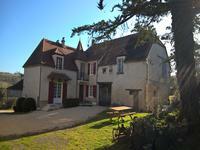 . .
Former farmhouse with gite, pool, outbuildings, and horse boxes on 5,6 hectares of land. 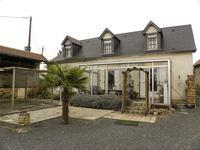 This lovely property is situated between Excideuil and Hautefort, both popular towns known . . .
You will fall in love when you come to discover this beautiful, 18th century property, . . . Prestigious, historic house full of character dating from the 13th century with central tower and gite near the Black Périgord. 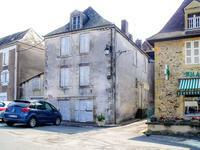 This luxury property with gite/apartment, dating for the oldest part of the building from the . . . Fully renovated B&B with 6 bedrooms, each with washrooms, there is also a private apartment, . . .